High shine 1000/4000 grits for a fast, brilliant, glass-like shine on gels and acrylics. FLEX design with soft foam core for gentle, cushioned buffing. 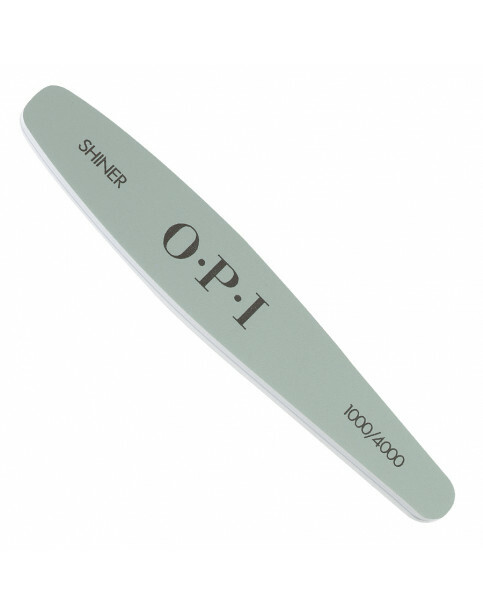 OPI Shiner File 1000/4000 Grit is rated 5.0 out of 5 by 1. Rated 5 out of 5 by Lizzie100 from Easy to use Purchased my shiner a month ago and love the effect you can achieve with it .